TecSec’s focus is on Information Security and Information Access Management, enforced through cryptography. TecSec provides consultation and design services, as well as software and hardware products based upon the company’s 7th generation, standards-based VEIL® technology, leveraging their large library of patents and still growing intellectual property. 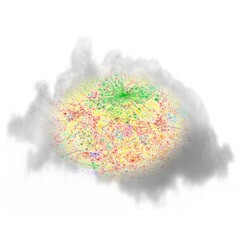 In today’s highly connected world, everything from the books we read to financial transaction, health records and very sensitive personal information – it’s all being stored ‘in the cloud’. Therefore, TecSec recognizes and has addressed the every growing need for individuals and corporations to know that their information is intrinsically secure no matter where it is stored in the cloud or how large it becomes. Learn more about TecSec Information Security in the Cloud. 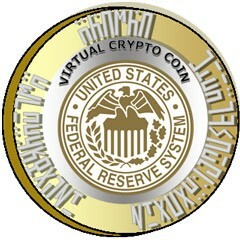 TecSec, working within the ANSI and NIST Standards, has developed a means to cryptographically protect financial transactions, whether in transit or at rest. Actively working with the banking community, TecSec’s VEIL® technologies have bound access privileges to the data cryptographically, formulated self-protecting data objects, and assured content security. Countermeasures have been deployed to deny attackers a means to intercept and obtain valuable information. TecSec has actively participated in the National Science Foundation’s call to arms – that America’s leading scientists and inventors must move toward measures that will ensure Privacy and Security in this increasingly Connected World. From the Connected Homes & Families through mobile computing and communication platforms, to Connected Cars utilizing roadside wireless infrastructures, to Connected Critical Infrastructure securing power grids and improving our ability to monitor and actively utilize airspace, TecSec is providing solutions through VEIL® technologies and ABAC. As states, governments, agencies, and businesses continually collect and store personally identifiable information about their constituents, employee, customers, and partners, it is increasing important that every precaution be taken to store these records responsibly and to provide protection for that information from unauthorized access or theft. TecSec provides multiple attribute based access solutions through an integrated encryption and key management system, solidly based on Standards. 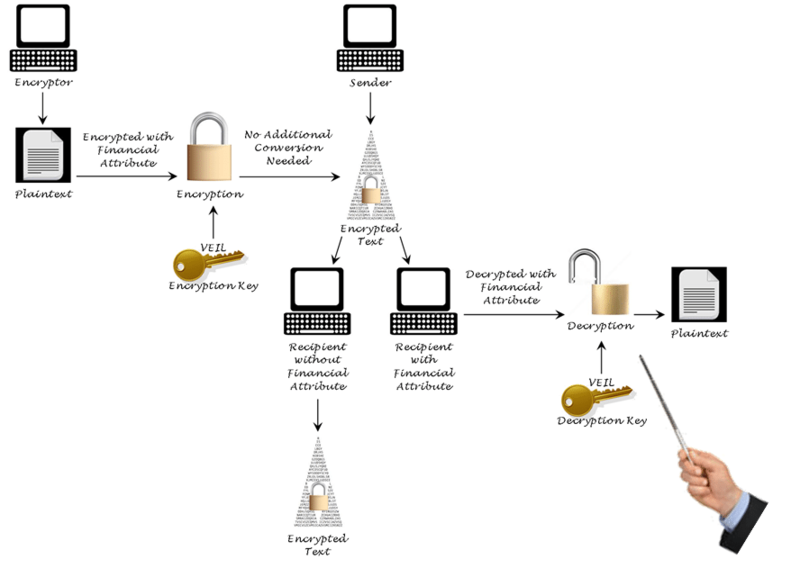 View an example of Configurable Identification & Authentication providing Access Authorization. 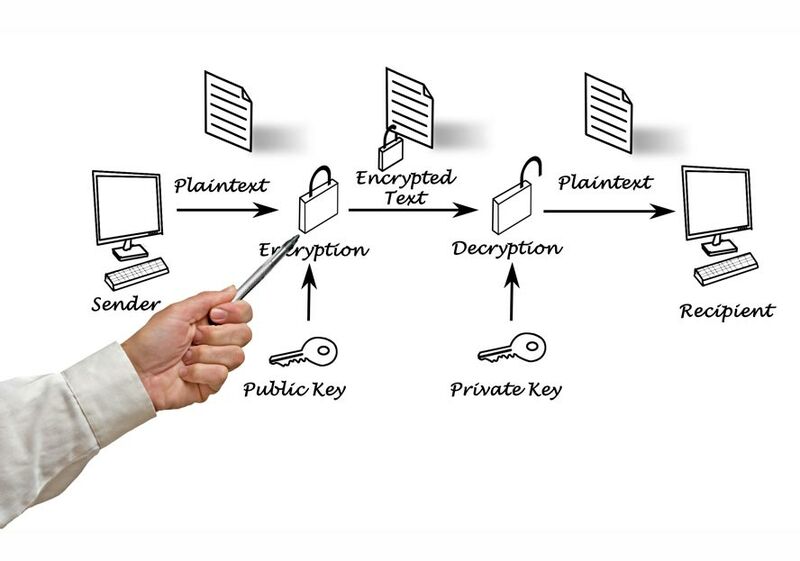 VEIL® Suite is a truly scalable, standards-based cryptographic key management framework. VEIL® uniquely resolves critical information security and data management issues complicated by the highly connected world and cloud environments of today’s markets. The need to identify authorized users, protect and control sensitive information assets, and manage access to information has never been greater. TecSec’s patented technologies enable corporations and businesses to comply with privacy statutes and regulations across all of their information assets, whether in transit or at rest. TecSec’s VEIL® Suite allows you to control access, protect the privacy of information in documents, and dynamically tailor displays so that users see only what they are supposed to see. Information Assurance Suite enabling cryptographic data protection, mobile device security, physical access control, desktop tools and cloud security. We are passionate about our founding principles. 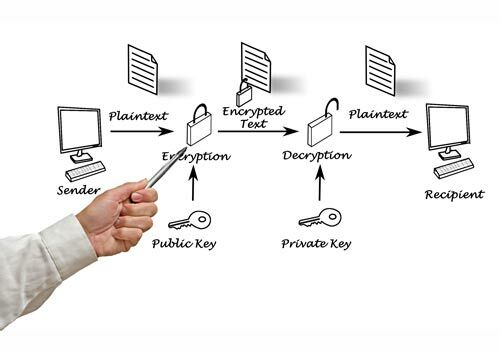 Let us show you how we can take your data from COMMUNICATION security to INFORMATION security. 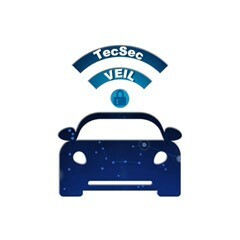 Through a 21st Century Key Management System, designed especially for the connected world and cloud environments of today’s businesses, TecSec’s VEIL® Suite of products bring privacy, confidentiality, and scalable management of content, independent of the means of transport or the type of information. VEIL® technology has the potential to enhance the full range of digital applications, including wireless platforms, Critical Infrastructure Protection (CIP) arenas, financial and legal environments, as well as healthcare privacy enforcement. 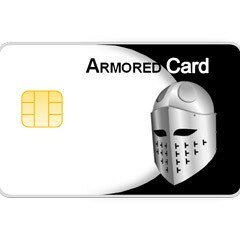 VEIL® allows for CKM® Enabled solutions that can be employed as software, firmware, hardware, or in a combination, including the TecSec® Armored Card.